Sometimes the ordinary can be extraordinary. Tillandsia cyanea is a common houseplant, sold almost everywhere houseplants are to be seen, that is rather unusual among the genus because it is an epiphyte that needs a pot, unlike the more famous airplants. As a result, the leaves are not covered in scales but are green and more vulnerable to dry atmosphere. 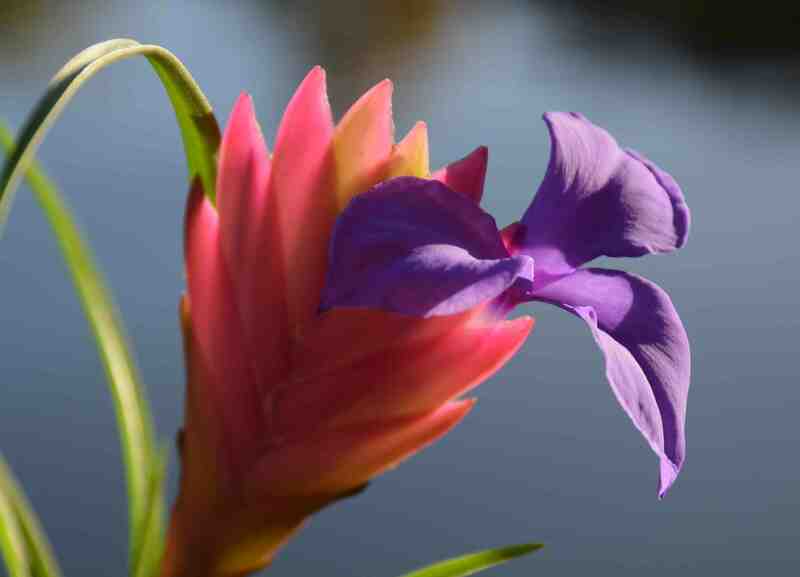 It is from Ecuador and Peru and is usually sold as mature plants with a flat set of pink bracts that last many months. With care these produce a succession of comparatively large, violet blue flowers that each last several days. 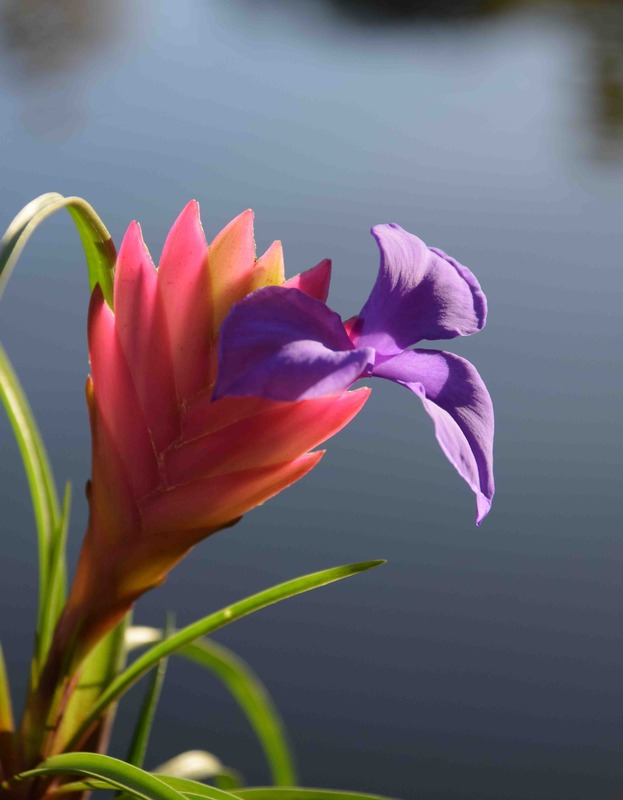 As with most bromeliads, once all the flowers have opened and died the bracts lose their colour and the spike slowly dries out. At the same time, small offsets should form around the base that can be grown on to flowering size in a few years. As the original plant dies it can be cut out. 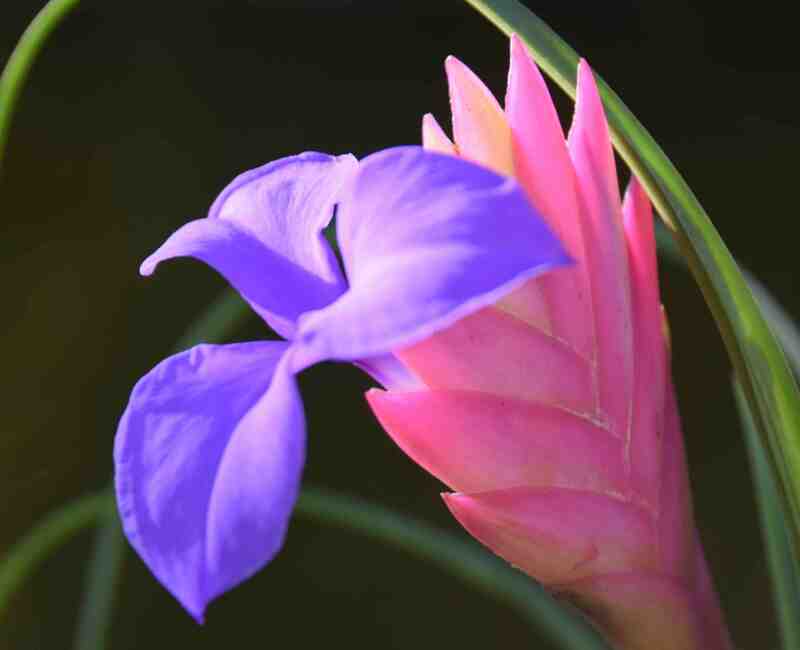 This is a cute little plant and the flowers are really pretty for a bromeliad – most have rather insignificant flowers. What surprised me today as I was taking the photos, is that they are also sweetly scented.